When Marksmanship Was Included as Part of Education | Park View, D.C.
« Where Could Public Statues/Memorials Be Located in the Neighborhood? 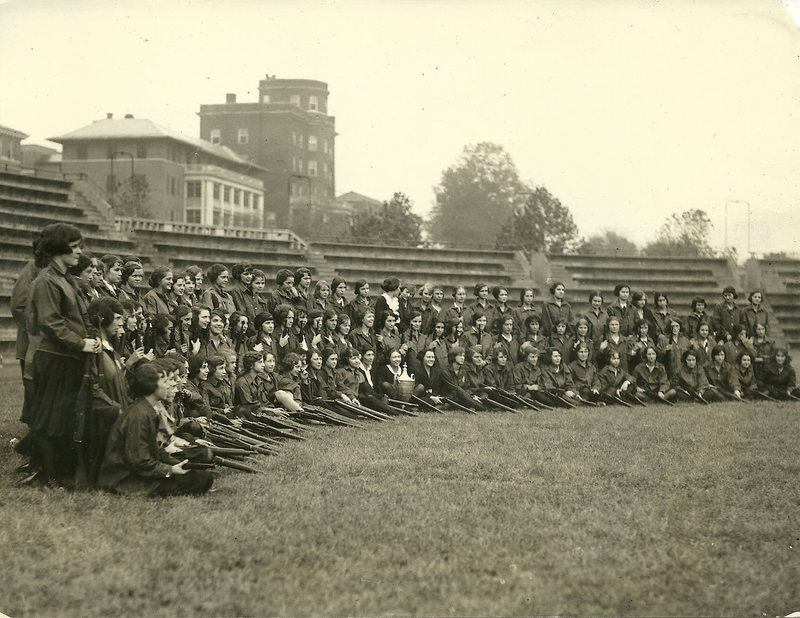 I recently found the following photo dated 1922 showing the Central High School girls rifle squad. I find it interesting that marksmanship was something taught in high school … and that there were competitions between schools. This is something I’m definitely going to want to dig into a little deeper. The location is on the athletic field of Central — now Cardozo — looking east. The buildings in the background are the old Garfield Hospital. This entry was posted on December 4, 2014 at 7:01 am and is filed under History. You can subscribe via RSS 2.0 feed to this post's comments.